Reimagining the Urban participants have been asked to submit a blog post “on a keyword you see debated in the Bay Area arts, policy, and planning landscape.” This posting is by Louise Pubols, Senior Curator of History at the Oakland Museum of California. It was originally posted in the Arts Research Center of UC Berkeley blog ARC Muses. In the 1870s, Americans used the land for a private park, complete with shooting range, racetrack, beer gardens, picnic grounds, and a dance hall built on the leveled top of the mound. At the same time, and into the twentieth century, citizens of Emeryville used the flow of the creek and the bay’s tides to advantage, building a series of slaughterhouses along the shoreline here, dumping sewage, and later siting factories making iron, paints, and pesticides. Railways and freeways separated residents from access to the shoreline. In the 1920s, the mound itself was razed to create more room for industry. These new uses edged out eating and harvesting as the primary human use of the tidal margin. But in the latter half of the 20th century, a new awareness of the environment came slowly to the fore. In the 1950s, the East Bay Municipal Utility District built a sewage treatment plant just south of the crescent, mitigating the classic stench the area had become infamous for. But the land, still ringed by industry and freeways, was still a bit more “backyard” than “front yard”—a private, unregulated place for working, dumping, and burying unwanted junk. Into this sort-of private, sort-of no-man’s land, artists and art students from the local area snuck in the 1960s and 1970s, erecting sculptures from driftwood timbers and junkpile boards, painting and embellishing with flattened beer cans and bits of metal. Inspired by the environmental movement, the state began to turn attention to the mudflats and marshlands in the 1980s, and asserted that the art was damaging the ecosystem and wildlife of the crescent. Caltrans officials started removing the sculptures, and the East Bay Regional Park District acquired the property and begin to clean up the industrial contamination. At the same time, the city of Emeryville began to replace the heavy industries with retail, housing, and hotels. This bit of tideland is now part of the McLaughlin Eastshore State Park, stretching from the Bay Bridge to Richmond, and recently named in honor of Save the Bay co-founder Sylvia McLaughlin. Every day, people walk, bicycle, and birdwatch here. But you will not find anyone fishing, digging clams, buring the dead, slaughtering cattle, shooting target practice, dumping sewage, cleaning paint vats, or making art. People pass through, they admire the view, but they do not stay. The Dragon is gone. Who is the shoreline for now? How will it be used? Who gets to decide? Reimagining the Urban participants have been asked to submit a blog post “on a keyword you see debated in the Bay Area arts, policy, and planning landscape.” This posting is by Shannon Jackson, Director of the Arts Research Center. It was originally posted in the Arts Research Center of UC Berkeley blog ARC Muses. In cross-disciplinary gatherings at ARC, we have found it worth going over territory that we all think we know, to review the staples, the bread and butter of our fields, in order to expose blindspots and to jostle ourselves into new perspectives on the heretofore obvious. But should I really reflect on the term “public”? when so much ink has been spilled on this subject historically…and from so many quarters recently? For this particular session, I guess I think I will, especially because the term is one that links some elements of environmental planning to key questions in humanist debate and artistic practice. Teresa Caldeira and I have named our forthcoming course for the Global Urban Humanities project “City, Arts, and Public Spaces” partly because the domain of ‘public’ ‘space’ seems a clear area of overlap between our fields. But of course, the term Public is so ubiquitous and its associations are so varied and contradictory. Is Public about extroversion, about visibility, about access, about openness? And how do these terms differ slightly in their associations and their politics? Does Public connote the “public sphere,” the one Habermas extolled (and many feminists and postcolonial critics have revised) as an arena of bracing and vibrant deliberation, detached from the sphere of commerce as well as the sphere of the state? Or is Public referring to the “public sector,” the domain of state and civic governance that is sustained by taxes, distributive justice, and ambivalent trust? Is that the same public sector imperiled by corruption, appropriation, and by the pervasive anti-state distrust circulating quite differently in both right and left sectors of society? The term Public often seems defined by its opposite. Public is the opposite of private, the opposite of hidden, the opposite of the closed, the opposite of the private sector, the opposite of the for-profit sector. But the opposing terms are not themselves equivalent. The Public can be celebrated as unfettered deliberative engagement, but, in the very next breath, the Public can be castigated as bureaucracy and state control. Publicness is the opposite of closed, from one perspective, but it is the opposite of free from another. Reimagining the Urban participants have been asked to submit a blog post “on a keyword you see debated in the Bay Area arts, policy, and planning landscape.” This posting is by Teresa Caldeira, Professor of City and Regional Planning at UC Berkeley. It was originally posted in the Arts Research Center of UC Berkeley blog ARC Muses. “Street art” is the umbrella expression to refer to several forms of intervention that use the streets as their domain. It covers not only visual productions such as graffiti and tagging, but also performances like skateboarding, parkour, and break dance. The literature on street art is extensive and framed by a reference to mainstream artistic production. “Is graffiti (or tagging, or skateboarding) art?” seems to be an unavoidable question addressed again and again and consistently answered affirmatively. In my research, this approach is secondary. Instead, I am interested in asking: what is the kind of intervention that these urban manifestations make in the everyday life of the city? How do they modify and shape public space? What is the kind of political agency they produce? How do citizens engage with them in their everyday movements around the city? I consider that one of the oldest analyses of graffiti/tagging is still one of the most provocative: that published by Jean Baudrillard in 1976. He argued that the power of New York graffiti resided in their emptiness as signifiers. Their “revolutionary intuition,” argued Baudrillard, comes from the perception that “ideology no longer functions at the level of political signifieds, but at the level of the signifier, and that this is where the system is vulnerable and must be dismantled” (‘Kool Killer or the insurrection of signs’). Graffiti and especially tagging are attacks at the level of the signifier. Baudrillard’s argument has intrigued me during the time in which I have developed the research for my current project investigating these interventions in public space in São Paulo. It has led me to formulate questions about the type of political agency and of politics that these performances in fact enact in the city, transforming its public. Thus, the literature that I explore is mainly that reflecting on some of the predicaments of contemporary politics. I am especially interested in the work of Jacques Rancière. For him, politics is “the accident that interrupts the logic by which those who have a title to govern dominate. … Political subjects are … processes of subjectification which introduce a disagreement, a dissensus. And political dissensus is not simply a conflict of interests, opinions, or values. It is a conflict over the common itself… a dispute over what is visible as an element of a situation, over which elements belong to what is common, over the capacity of subjects to designate this common and argue over it.” (‘Introducing disagreement’, Angelaki, 9:6, 2004). It is in this sense that I consider arguing that the practices labeled by the expression “street art” constitute a powerful form of contemporary politics. I consider this argument in relation to other views of contemporary politics articulated by authors such as Asef Bayat, Partha Chatterjee, James Holston, and AbdouMaliq Simone. Although they have quite diverse perspectives and are far from coinciding in their analyzes, they all share a deep dissatisfaction with current views of political agency framed by analyzes of North Atlantic democracies and a commitment to theorizing politics and urban citizenship from the perspective of the spaces of the subalterns, especially from disjunctive democracies of the global south. Reimagining the Urban participants have been asked to submit a blog post “on a keyword you see debated in the Bay Area arts, policy, and planning landscape.” This posting is by Margaret Crawford, Professor of Architecture at UC Berkeley. It was originally posted in the Arts Research Center of UC Berkeley blog ARC Muses. Reimagining the Urban participants have been asked to submit a blog post “on a keyword you see debated in the Bay Area arts, policy, and planning landscape.” This posting is by Linda Haverty Rugg, Chair of the Scandinavian Department at UC Berkeley. It was originally posted in the Arts Research Center of UC Berkeley blog ARC Muses. During the last decade a new field has emerged that increasingly is referred to as the Environmental Humanities. Environmental Humanities research centers often originated either in literature departments, because of the ecocritical movement in English Literature and American Studies, or in history departments, where the field of environmental history emerged after c. 1980. Other contributors to this field have come from inherently interdisciplinary fields such as geography, the digital humanities, gender studies, anthropology, and the history of technology. Other fertile ground for Environmental Humanities has emerged at interdisciplinary centers that combine natural and social sciences with humanities, or at humanities centers that encourage research and discussion across disciplines. Several fields that have contributed much to the Environmental Humanities have already begun to bridge this divide, notably cultural geography, anthropology, and the history of technology. The present moment is one of transition as well as growth. A generation of scholars who laid the foundations for the Environmental Humanities are nearing retirement or have already retired. They leave behind a thriving intellectual field, including several newly dedicated research centers. The Environmental Humanities are expanding rapidly and articulating concerns relevant to medicine, animal rights, neurobiology, race and gender studies, urban planning, climate change, and digital technology, to name just a few fields. Generally, there has been a growing effort to engage environmental concerns, to communicate with a broad public, and to evoke a sense of wonder, empathy or urgency, which comes largely out of humanistic training and practice. It is difficult to think of a single academic discipline that has not become engaged with the Environmental Humanities. 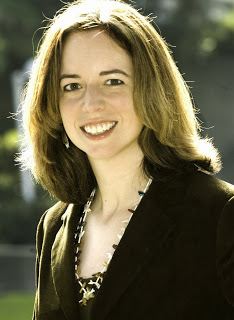 In response to a survey of the field conducted by this committee, Australian scholar Libby Robin, suggested that the phrase Environmental Humanities: “refers to the human sciences that contribute to global change which include environmental concerns such as climate change, global ocean system change, biodiversity and extinctions, and atmospheric carbon. It is an interdisciplinary area that considers the moral and ethical relations between human and non-human others (at all scales up to planetary). Because ‘the environment’ has been defined by biophysical indicators and studied through ‘environmental sciences’ (a term that dates back just 50 years) and environmental economics, the moral, political and ethical dimensions of environmental degradation were long neglected as ‘outside the expertise’ of the dominant discourse. Attitudes and values are not easily measured, nor do they readily yield data that can be incorporated into modeling of future scenarios.” Yet environmental problems belong to us all, and the solutions will come from all fields of endeavor, including the humanities. 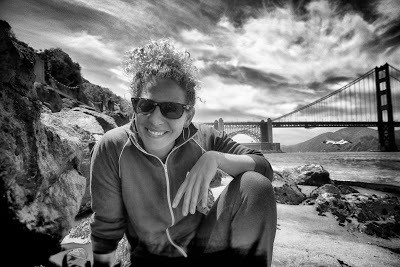 Reimagining the Urban participants have been asked to submit a blog post “on a keyword you see debated in the Bay Area arts, policy, and planning landscape.” This posting is by Ava Roy, Founding Artistic Director of We Players. It was originally posted in the Arts Research Center of UC Berkeley blog ARC Muses. In my experience, one of the most unique and profound joys of working site-specifically is developing an intimate relationship with the elemental forces of the environment. While striving to build a coherent world and intricate structure (and to clearly tell the story of the play), within the sweeping scale of massive outdoor sites is challenging enough. The challenge is intensified by the completely unpredictable atmospheric input – while rehearsing and performing, we find ourselves in searing heat or bone-chilling damp cold, we face blasts of powerful winds off the Pacific, we are in turns shrouded in fog, then squinting into blazing sun… These contributions from the environment are as uncontrollable as they are magnificent. A sudden shaft of sunlight provides a natural spotlight on Hamlet as he expounds on how to catch the conscience of the King from behind a fence on Alcatraz, an eagle soars above Zeus’ head as he heckles the mortals from his perch at the top of Mount Olympus (or the old rock quarry on Angel Island as the case may be), a swirl of thick fog tumbles into the fortress as Macbeth receives his crown, an ominous yet fitting portent. In less sublime alignment, a helicopter churns overhead as an intimate soliloquy is shared with the audience, or the abundant wind may carry the actors voices in precisely the wrong direction. I believe that these surprise contributions from the environment serve to heighten our awareness that what we are experiencing is a precious, unrepeatable moment in time. That this event is alive and breathing and truly dynamic. These surprise encounters with nature – within the ordered structure of the play – can help us to drop into a heightened state of awareness and appreciation for the moment. When we practice this through our engagement with the arts, we might become more facile at expanding our awareness and savoring the minute moments of beauty in our day to day lives. We might become more adept at recognizing how even in our dense, fast-paced urban landscape, nature is ever-present and is inviting us into a state of wonder. While we cannot control the elements, we can predict certain things and invite these forces into our practice of developing site- integrated art. We should consider carefully the time of day, the time of year. What is happening in the physical environment in the season we are producing the work? What plants are blooming? What phase is the moon in? What’s happening in the energetic environment? If it’s spring time, how does the story draw on the energy of new life? If in the autumn, how does the story connect to the darkening of the light, the transition from harvest to dormancy? With We Players’ current production of Macbeth at Fort Point, the show begins when it is still day. Dusk settles as the new King takes the throne and we feel the increasing weight of darkness. As the moral and psychological standing of the main characters frays and falls apart, the blanket of night falls heavily upon us. We descend into darkness both literally and figuratively. The sun takes a bow. Reimagining the Urban participants have been asked to submit a blog post “on a keyword you see debated in the Bay Area arts, policy, and planning landscape.” This posting is by Rebecca Novick, Director of the Triangle Lab. It was originally posted in the Arts Research Center of UC Berkeley blog ARC Muses. Reimagining the Urban participants have been asked to submit a blog post “on a keyword you see debated in the Bay Area arts, policy, and planning landscape.” This posting is by Irene Chien, PhD candidate in the Department of Film & Media and the Berkeley Center for New Media at UC Berkeley. It was originally posted in the Arts Research Center of UC Berkeley blog ARC Muses. In mainstream US media, “urban” is a pervasive euphemism for black, a way to register but not directly point at African-American culture within the post-racial political paradigm of colorblindness. “Urban music,” “urban fiction,” “urban comedy,” and “urban entertainment” are all ways to identify media made by, featuring, and marketed primarily to African-Americans without directly naming them. “Urban” in this sense gives value to at the same time it disavows the authenticity of black bodies, voices, and “street” experiences that now circulate globally in the form of hip-hop identity and aesthetics. At the same time, in contemporary cultural discourse, “urban” continues to function as a code word for the crime and poverty associated with blackness that is less inflammatory than “inner-city,” “ghetto,” or “the ‘hood.” Is the conflation of “black” with “urban” a way to erase black people from the scene so as to better commodify their cultural expressions for a global market? Is it a way to be more inclusive of other races and ethnicities when considering life in the city and its cultural expressions? What are exactly are the effects of this semantic slippage from black to urban? Urban became linked with blackness in the context of the 20th-century Great Migration in which 6 million African-Americans moved from the rural south into cities in the northern, midwestern, and western United States. The fact that this migration pattern is now being reversed as African-Americans move back to the south and (perhaps pushed by the gentrifying effects of the New Urbanism) out of cities into poor suburbs, puts even more pressure on the dodges and slippages between race and space manifested in substituting “black” with “urban.” These uses of the term urban point to a more general conflation of race with environment–black with urban, white with suburban, and Latino with rural. As we examine the urban in its many contexts and meanings, I hope to interrogate this racialization of space and spatialization of race.